East End Fitness is a family owned and operated fitness facility based right in the heart of Center Moriches. With our state-of-the-art equipment and convenient location, there’s no better place to get fit on the east end. East End Fitness offers a wide variety of classes that will bring your workout experience to the next level. Don’t forget to stop at our smoothie bar and enjoy a delicious and nutritious pre-or-post workout treat. LOOKING TO GET IN TOUCH WITH A PERSONAL TRAINER? GET IN TOUCH USING OUR EASY TO USE FORM BELOW! 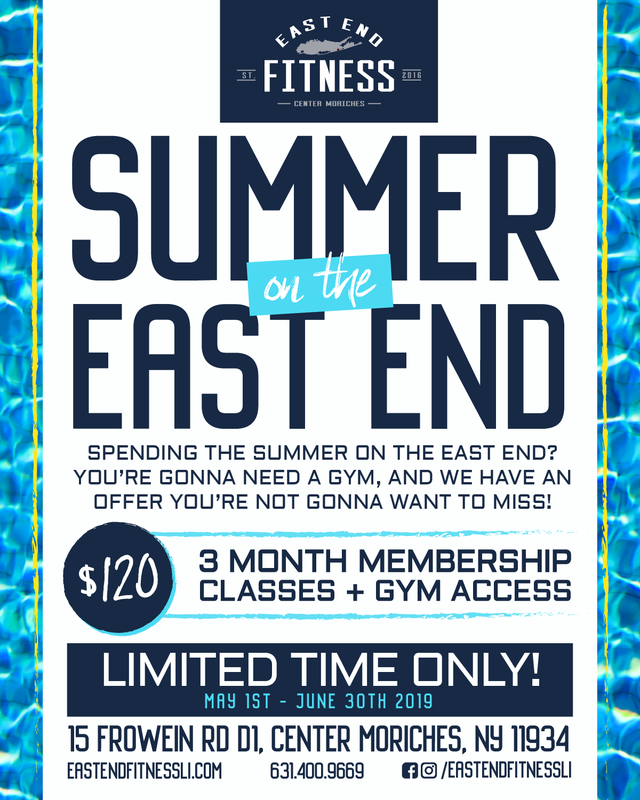 LOOKING TO GET IN TOUCH WITH THE TEAM AT EAST END FITNESS? LEAVE US A MESSAGE USING OUR EASY TO USE FORM BELOW!